B. How do UV lights work in air purifiers? C. Are UV light air purifiers safe? D. What are the dangers of a UV light air purifier? E. What does a UV light air purifier do? F. What doesn’t a UV light air purifier remove? If you’ve been thinking about getting into a healthier lifestyle, one of the best ways to do this is an air purifier. 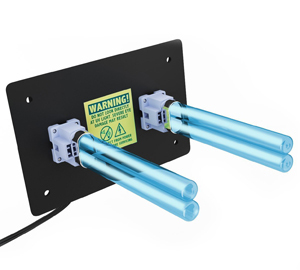 There are many on the market, but a UV light air purification system is what you need. Some of these appliances can be very complicated, having up to five different filters that you have to pay attention to. However, there are many things to keep in mind. Are UV light air purifiers safe? Do UV light air purifiers work? We have all the answers here. Sometimes, it’s difficult to make a decision on a big purchase. Since UV light is a relatively new technology, a lot of people may have questions. It can be somewhat expensive, but in the long run, it does what it’s supposed to do. There are many UV light air purifier reviews around, so we’ll condense them all together here for you. We’ll tell you what a UV light does on an air purifier, the best air purifiers with a UV light, and what you can do with a UV light air purifier system. 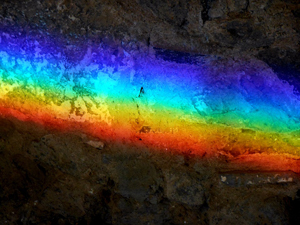 When it comes to light, or wavelengths, there is a spectrum. In the middle of the spectrum, there is light that we can see with the naked eye. These are you normal colors like red, green, yellow, etc. Think of the rainbow. This is a prime example of what light we can see. However, on either end of this light spectrum, there are other lights we can’t see. Not only that, but this light can also harm us since it can get deep into cells and even pass through cells. This is very dangerous because it can damage them and even make them cancerous. When you think of x-rays, this is one of the lights that we can’t see. However, doctors take a lot of caution when dealing with it, considering it goes through us to show our bones in case of fractures or breaks. UV, or ultraviolet light, is one of the wavelengths that we can’t see. While not as dangerous as x-ray or gamma ray wavelengths, it is the same light that can give us sunburn from the sun. This can further devolve into skin cancer if you aren’t careful. However, in the same vein, ultraviolet rays are being used in other, safer ways to keep us healthy. Putting them in air purifiers has shown positive results. How do UV lights work in air purifiers? Each of these types is stronger than the previous letter, but UV-C is a germicidal light. This means that a UV-C light will kill things like bacteria, viruses, and other particles that include mold and some allergens. Air purifiers will pull in the air, kill the particles, and then expel the clean, filtered air. They do this by emitting the wavelengths from the light bulb, incinerating the particles nearby and on contact. Ultraviolet lights can be used by themselves, considering hospitals and clean rooms employ the use of them. However, many home-oriented air purifiers combine UV lights with other air filters. Some common ones that they use are HEPA, activated carbon, and ionizing air purifiers. There are some air purifiers that have multiple types of filters, which theoretically work better. This is because each filter can deal with specific microbes. When searching for an air purifier that has a UV light in it, you have to be careful. Cheaper models of certain ones may not have the best safety standards of today’s society. These safety standards are important, considering that ones that are cheaply-made might produce a bit of ozone. While this isn’t the most dangerous thing in the world, it can be annoying to deal with. You don’t want your air purifier doing the opposite of what you wanted it to do! Are UV light air purifiers safe? The air purifiers with UV lights in them are usually safe, often called “Ultraviolet Germicidal Irradiation Cleaners”. Whenever you’re looking for an air purifier, you should be doing a lot of research either way. Ultraviolet light in air purifiers is a recent technological advancement, so people are still experimenting with it. Why would it not be safe? As said above, ultraviolet light can produce ozone. Ozone can be dangerous in condensed amounts and can do harm to your pets—especially birds. The cheaper the air purifier is, the more likely it will cause harm. Ultraviolet bulbs are usually coated with a special substance that keeps ozone from being produced, essentially making it ozone-free. There are many air purifiers on the market that boast an ozone-free state, so you may want to keep an eye on those. Again, they are likely a bit more expensive, but you will find that they are the best to get. In this day and age, you get what you pay for. Cheaper air purifiers will cause a bit of strive, so be sure to pay attention to the advice and reviews of customers who purchased before you. Either way, a good air purifier will provide your home with a fresh, healthy environment. What are the dangers of UV light air purifiers? As said above, there are a few dangers that you have to consider when getting a UV light air purifier. Normally, you won’t have to worry about these things, but some of the cheaper versions can carry along some unhealthy things. If you don’t want to have to worry about ozone, you should look into getting a better air purifier. Ozone can work well in cleaning odors, but you shouldn’t be in the same room. Therefore, you should keep a look out for that “ozone-free” promise. Choosing a UV light air purifier doesn’t have to be troublesome, so many manufacturers put warnings or guarantees on their items. Either way, ozone is all around us in smaller quantities. The Environmental Protection Agency gives a very low number for how much ozone we can take in. UV light air purifiers are well under this number, but you can never be too careful! Radiation is a more accurate way of describing these wavelengths we’ve been talking about. It is basically a fancy word for light, electricity, and magnetism. It is a valid concern that radiation might be coming from a UV light source, so what keeps radiation from leaking out of your air purifier? Many manufacturers put the bulb behind barriers so the radiation doesn’t go through the walls. You have nothing to worry about when it comes to radiation shining through. Fortunately, UV radiation can’t pass through glass. What does a UV light air purifier do? While destroying these organic things, it won’t clear the air completely. These bulbs eliminate about 99.7% of airborne pathogens, which is why UV lights are combined with other air filters. Each filter does specific things, so it’s easy to find an air purifier that can affect most things. These organic things will be eliminated by passing through the rays of light coming from the UV bulb, destroying them on contact. Keep in mind, however, that mold can still be dangerous to humans even if the spores and particles are dead. Hiring a mold remediation service is your best bet, considering they can remove all traces of mold from your home. 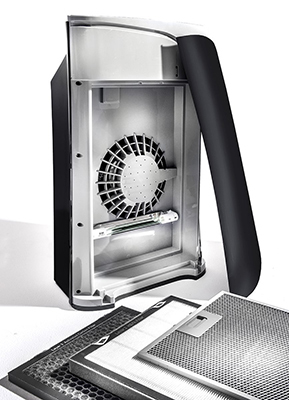 Never depend on an air purifier alone, because even a true HEPA filter can’t remove mold by itself. What doesn’t a UV light air purifier remove? Even though a UV light does a lot of work with bacteria and viruses, there are some things that a UV light will not remove from your air. It is also why UV lights are combined with other air filters. If you’re looking for a simple germicidal air purifier, the UV lights are fine by themselves. These are the things that a UV light won’t remove from your air. While good with bacteria and viruses, there isn’t much a UV light can do specifically with dust particles. If they’re very tiny, they can be incinerated. However, keep in mind that a light alone won’t do much for things like dust. These solid, airborne particles are too thick and heavy to be destroyed by UV light, so if your allergies are from dust, consider vacuuming instead. Dust mites are little critters that run around in the dust. They eat the dead skin cells and other things that are in your home. Most notably, they’re in your bed and on your pillow. Pretty gross, right? Well, fortunately, UV lights can kill dust mites. However, the thing about dust mites is that our allergies come from their bodies. Killing them is one thing, but their bodies will remain. UV lights can’t get rid of those little bodies that we breathe in, causing allergic reactions. Wait, we just said mold spores are killed by UV light, right? The thing is, mold is in a similar position as dust mites. Mold spores are killed, but the actual mold bodies are what make us sick. It interacts with our immune system whether it’s alive or not. However, it will be kept from spreading onto other surfaces. The thing is, those mold spores might still be lingering, so you’ll need something in addition to UV lights for mold. Either way, an air purifier won’t remove the mold completely by itself. While these air purifiers are usually combined, we can look at how a UV light measures up to other stand-alone air filters. Keep in mind that each of these things do specific things, usually, so a combination is better than only one! High-Efficient Particulate Air filters are some of the best on the market. These are more commonly combined with UV lights, considering HEPA filters may miss a few bacteria and virus particles. True HEPA filters won’t have a problem, but it’s always good to have the safety net of the UV light to kill those lingering bacteria or viruses. These filters, also known as activated carbon filters, do very well at removing odors from the air. They are best at absorbing odors and the bacteria-causing odors into the carbon itself. Carbon is also able to purify water, although an air purifier won’t do much with that. Either way, it is very handy at pulling odors from the air, being almost as good as ozone generators. Ionizing air purifiers are somewhat similar to UV lights and ozone generators. Using an electric charge, the air brought through the ionizer causes particles to become attracted via electrostatic. This electrostatic attraction is the same as that shock you feel after rubbing your feet on carpet or how a balloon makes your hair stand up. With the electrostatic attraction, it pulls these particles into the filter and traps them there. These air filters are usually huge and must be installed by a professional. Occasionally accompanied by whole-house fans, these air filters are more about air circulation than anything. They can create a negative room pressure, keeping pathogens and particles from getting inside. Hospitals and medical rooms employ this technique to keep rooms from becoming cross-contaminated. They are rather loud, but they can have a positive effect on your air quality. Similarly to most other things, air purifiers come in all shapes and sizes. There are many things that you have to consider when choosing an air purifier. Finding the perfect fit for your home can be trying, but if you have an idea going in, it will be a lot easier. This might be a natural thought to some, but there are different sizes of air purifiers out there. One of the bigger differences is between a room and an entire home. If you’re getting an air purifier for one room, it doesn’t have to be big unless it’s for a big living room or kitchen. If it’s something you want the whole house to partake in, you have to get an even bigger one. It all depends on the surface area of where you want it, so take measurements before deciding on one. There are many different types of air purifiers on the market. Each one has pros and cons, but there are a few brands that mesh them together. By itself, a UV air purifier can only eliminate things like germs and organic particles. Dust and pollen are a bit harder to get rid of, but a stronger bulb can destroy those, too. As such, some brands are a combination of other filters in which a UV bulb works well together with. Like all air purifiers, the filters need to be changed. While a UV bulb doesn’t necessarily act as a filter, changing the bulb out is needed. After a year, it loses about 15% of its effectiveness, so it needs to be changed every one to two years. If it is combined with other filters, those will need to be changed as well. It’s important to be able to access these filters easily so that it doesn’t cause too many problems getting to them within the machine. It’s understandable that not many people would want to use a lot of money for something as simple as an air purifier. However, if you have allergies, pets, or if someone smokes, it could be worth your while. People with multiple dogs have said what a wonder that a powerful air purifier can do, but it can be rather expensive. You don’t want a cheaper one, though. A cheaper UV light air purifier has the danger of releasing that ozone. Some air purifiers are very loud. This can be a distraction to anyone in the home, so noise can be a factor for many people. There are many manufacturers that boast a quiet air purifier, but looking at the decibels it produces will give you a better understanding. The lower the decibels, the quieter it will be. If you want a quiet air purifier, be sure to look at the decibel amount. A UV air purifier will last a long time, too. Regardless of how much you use it, it can last for years upon years. That is, if you keep the filters and bulb up to date. 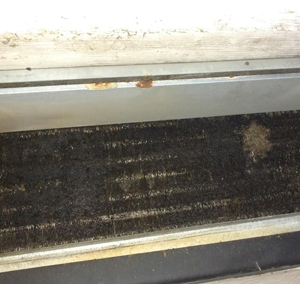 Cleaning filters can be annoying, but it is a necessity to keep your home and air clean. If you have many pets or a smoker, it will change your home for the better. There aren’t too many things that you can control, but air quality is one of them. While UV air purifiers are a newer, more recent technology, they can still do quite a bit of work in your home. They are normally combined with other air filters to range from one filter to four or five filters in one appliance. Each filter has a specialty and the UV light is no different. Ultraviolet light will remove germs and other things like bacteria and viruses. They will be incinerated by the UV rays, many of which will not be caught by the other air filters. When looking for any sort of air purifier, you have to keep in mind the size of the room (or rooms) that you want it to run in. A larger room or an entire house will require a relatively big air purifier. 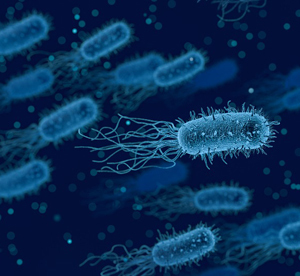 There are plenty out there that can reach through the entirety of a small home, occasionally having a UV light to destroy the optimum amount of air pathogens. UV light air purifiers are usually safe, but some of the cheaper variety may produce a bit of ozone. While this isn’t very dangerous, some manufacturers promise an ozone-free experience with them. If you’re worried about radiation, you don’t have to be. UV-C is a powerful, dangerous wavelength, but it can’t get through many barriers. Most manufacturers put them in the back of the air purifier so none of the radiation gets through. All in all, a UV light air purifier is a great choice, especially if combined with other air filters.